Tea Anyone? The first thought that went through my head when I saw the Tea Together stamp set. But when Sale-a-bration came out with the framelits, I knew is was a must have. Sale-a-bration offers so much! It is so hard to get everything out. A special February class is being designed using a Sale-a-bration products. Some of these items are remarkable and make some of the most beautiful projects. I can hardly wait to show you just how wonderful they will look with so little effort. 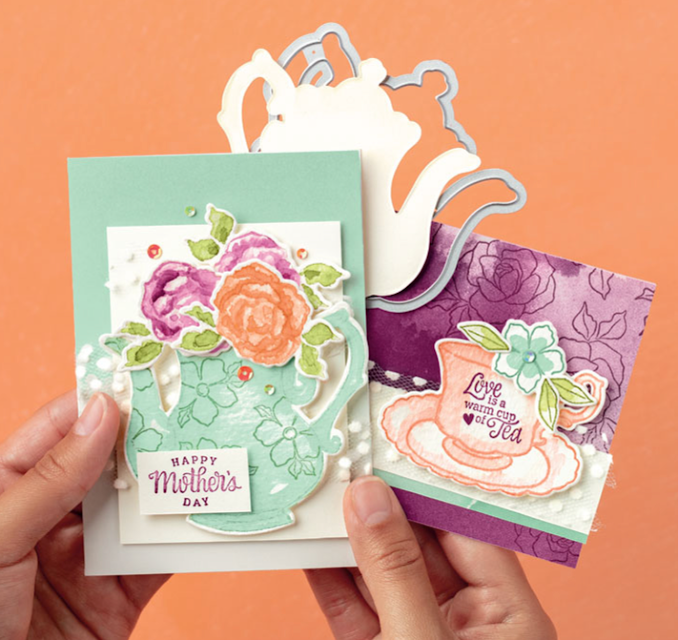 Lace embossing folder adds a touch of style, dimension and in this case, color. But it is the tea pot that creates the center of attention. Add your own sentiment and put this card in the mail. 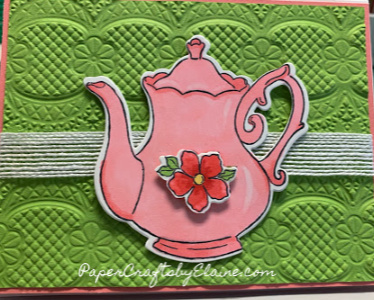 Or use this same framelit to create a beautiful teapot from just designer series paper. I used Floral Romance Speciality Designer Series Paper. The vellum sheets with a gold foil background, and your results are amazing. 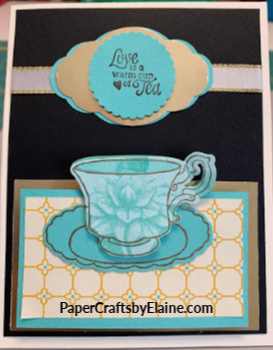 Or just enjoy using the beautiful Tea Time Designer series paper in our annual catalog. Another great choice is the All My Love designer series paper. Just one of many ways to use this fantastic framelit set. You can even put together this framelit with free designer series paper and the results…….. well look for yourself. 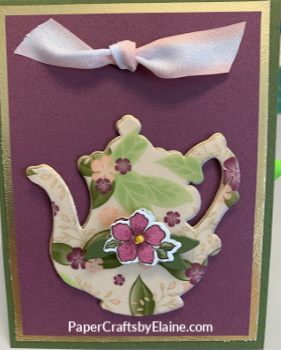 Of course you can step it up with gold embossing the tea cup on designer series paper and a second time on matching card stock. See the results of just a little extra effort. Let’s look at some ways to help you get this Tea Time Framelit set for FREE. Beauty Abounds Bundle. 150617. $55.75. I know you will enjoy Tea Together stamp set and framelits.